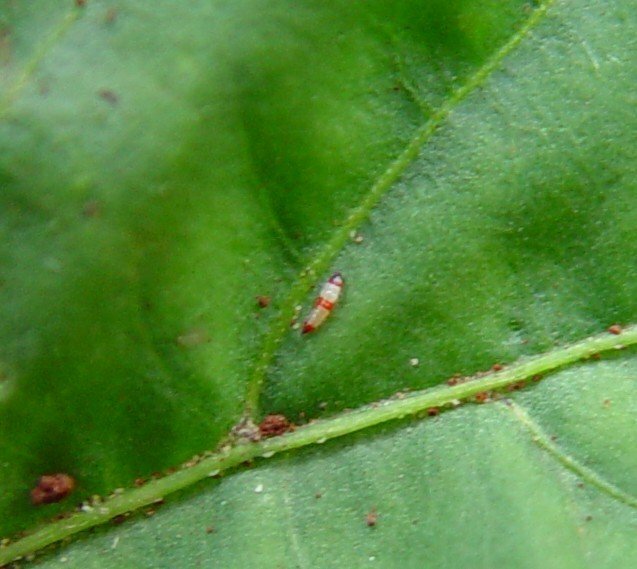 Adults of the red banded thrips are dark brown or blackish. Nymphs are pale yellow with a broad transverse red band on the dorsal side of the abdomen. Thrips attack older leaves, flowers and shoots. Attacked leaves drop off leaving bare shoots with few young leaves at the tip. Infestation of flowers causes poor fruit formation. Locally limited infestations may cause considerable damage. Conserve natural enemies. 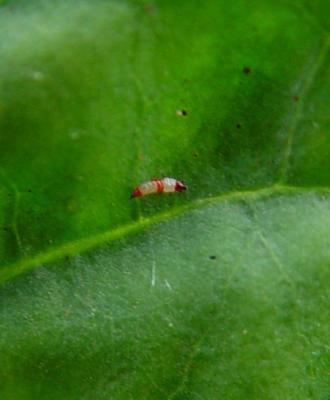 Anthocorid bugs are important in natural control of thrips.